Tourist organization of Tivat in recent years during the summer season has organized a series of musical concerts by renowned local artists, as well as in the region. Among them were: Nina Simone, S.A.R.S., Letu Stuke, Van Gogh, Kiki Lesendrić, Dragoljub Djuricic, Rambo Amadeus, Orthodox Celts, Rundek Cargo Trio, Tijana Dapcevic, Vast, Jelena Rozga .. The event, which for several years causes a great deal of attention and interest of tourists. It is a gastronomic event, which aims to promote the overall tourist offer of Tivat, particularly gastrokulturnih values, as well as the promotion of Tivat, as a destination for every taste and pocket. Gastro event “Summer of good taste” was conceived as a kind of festival where they will be, first of all, have fun and socialize, participants (who will show off their culinary skills), and guests. The event is held at various locations in the municipality of Tivat, in restaurants, taverns, hotels, on board Guided carriage always we promise good entertainment, bountiful table different dishes of Mediterranean cuisine, dishes from the program Schoolgirl Schoolgirl fest, with the game Folk Ensemble and joyous sounds music. Tourist organization every summer to participate in the organization and various fairs such as Bokeška olives Wine Fair, Fair of traditional crafts, fair of traditional products .. Tourist propaganda offer Tivat Riviera is richer for a new event called ‘The festival of carob’. The event is held in mid-July. Festival organized by NGOs’ umbrella Croatian community ”, the Municipality and the Tourist Organization of Tivat and the entire event is dedicated to plant carob of which are on the coast used to be manufactured flour, cakes and rakija.Stablo carob, which was back in 1886 before her marriage and going to America planted a local resident Nina Stjepčević, because of its ambience protected by the Municipality of Tivat, is the central motif of the new manifestacije.Program is enriched with cultural and entertainment program and guests enjoying the beautiful sounds ary have the opportunity to taste fried, baked and salt fish, wine, brandy and sweets from carob. Triathlon – active tourism development through the “Triathlon” – sports competition, which contains three different disciplines: swimming, running and riding bicycles. Tivat is also the holder of the first International Championship of Montenegro in the triathlon (750 m swim, run and ride bikes 5km 20km). 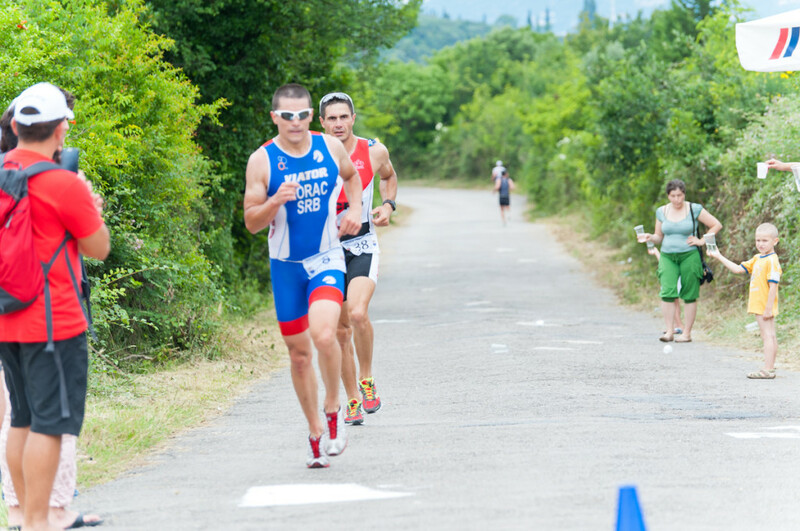 A established the first triathlon club based in the Bay of administration in Tivat.